More polls.. polls.. polls.. But I guess that most every poll you see is in Barack Obama's favor. But you can bet that he has allot to do with it. Just recently, it was reported that Barack Obama appears to be doing a terrific job when it comes to the transition. He is up on President Bush by at least 50 points. He has an approval rating of 79 percent, which according to a report on CNN, those kind of numbers you only see "when the public rallies around a leader after a national disaster,"according to Bill Schneider, CNN's senior political analysis. "To many Americans, the Bush administration was a national disaster." All you have to do is look how he handled 3 American disasters. The first, 911, he did handle that the best he could, according to just a few people who just don't realize what he could have done but didn't, and Americans rallied around him. Even though you get the idea that his administration could have helped prevent it, 911 was something that happened that was so unbelievable, that the President could have said anything, promised anything, the American people wanted to rally with him. But that didn't happen during the Natural disaster of Hurricane Katrina. Maybe it was because he could blame it on no terrorist. He could have become a President that people would never forget, but instead, he has become a President that most people want to forget, especially after he handled the New Orleans debacle during hurricane Katrina. President Bush had no problems invading a country on the other side of the world that he claims had nuclear weapons, and he sent brigades of troops in harms way to capture Sudaam Husain, when he lost his target all together by not concentrating on his efforts in Afghanistan where the terrorists are concentrated. The dictator that ruined so many lives still lives somewhere in Afghanistan. But Bush did nothing. During the hurricane, you would think that he would want to help his own citizens on home soil, instead of putting the troops in harms way to fight terrorism in Iraq, and spend so much money in that war. With the money spent on the war, President Bush could have totally rebuilt New Orleans, by building a new home for every man woman and child in New Orleans. Or, he could of at least provided assistance so that the people of the disaster could feel that their government did everything they could possibilly do.Instead, Bush elected to ignore the dying in New Orleans, the sick and homeless in New Orleans and blamed the lack of help during the New Orleans tragedy on FEMA (Federal Emergency Management Association). That agency had the task of working with disaster mitigation, preparedness, response, and finally recovery and planning. Of course, maybe he doesn't realize that it happened to be a Federal Agency, and that it would reflect directly on him how the disaster was handled. Today, parts of New Orleans still look like the day Katrina came ashore. And last, let us not forget that he was at the helm as President for 8 years when the Economic Crisis surfaced. President Bush, with the lowest approval rating in history is the disaster, and should be a President remembered as a 'do nothing President of the American people'. The one thing he was successful in doing regardless of what it actually should be, was to help everyone in the world except the American People. Enough about President Bush, because actually, he is not even worth the time it takes to write about him on paper. As the saying goes, 'only time will tell'. 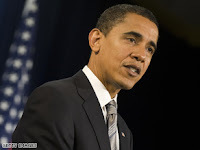 President-Elect Barack Obama has proved allot and done allot as only a President-Elect, but the real story about him will surface when he is the acting President of the United States as of January 20, 2009. Good old President Bush left mounds and mounds of work for him to do. If Obama plays his cards right, he will become one of the most popular Presidents in American history, even better than Ronald Reagan. Thanks to President Bush, it most likely will be a long long long time that a Republican President holds office.